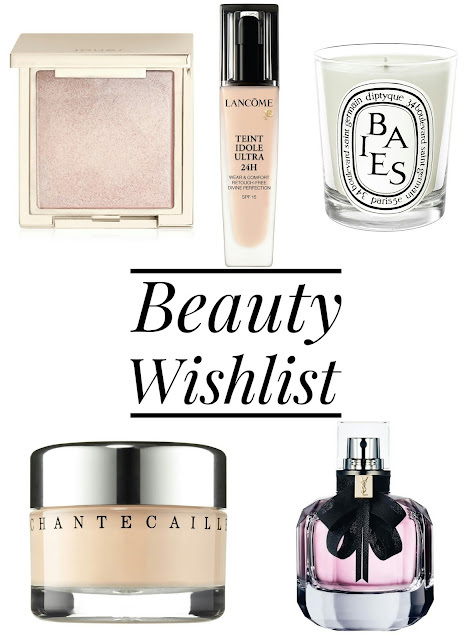 Around this time last year I published a beauty wishlist and although I didn't get around to ticking off all of those products from that list, today I am bringing you a brand new one for 2017. As I was putting this list together, I actually subconsciously chose products that are all French or have some element of French in them (like Jouer). I think it's safe to say, I have a great fondness for French beauty at the moment. This foundation had me at oil-free gel and radiant natural finish. Reading further into the description, the ingredients and what it claims to do just knocked my socks off! It contains 60% water and seaweed to hydrate the skin while rosemary, green tea and rice bran prevent oxidization. It also provides you with a medium to full coverage finish and the light reflecting pigments help to blur flaws and imperfections. If that doesn't wow you, I don't know what will! I've been seeing this brand all over Pinterest (particularly their Lip Toppers which look stunning), but I fell in love with their highlighters most of all. I don't own a champagne-pink highlighter which I think is why I was so drawn to 'Rose Quartz'. The packaging is very pretty and the quality of these creamy highlighters look amazing, so I would just love to get my paws on them. Just about every blogger/vlogger I've come across has a Diptyque candle and I feel like I'm missing out! I just want to know what all the fuss is about and if they're worth the splurge. 'Baies' is one of their most iconic scents and the rose and blackcurrant is a fragrance I can definitely see myself loving to death. The price tag is quite hefty but after reading so many positive reviews, I think this is something 100% worth treating myself to. Lancome are one of the brands that I've been wanting to explore for a while now because their products look so classic and elegant. I have foundations that I really like but I don't have one that I can truly call my holy grail. I've heard wonderful things about this particular foundation like how velvety and silky the formula is, and the flawless demi matte finish it leaves on the skin. If I'm going to try a Lancome product, might as well start with this foundation that looks mighty impressive! I adore Yves Saint Laurent's 'Black Opium' - it's my go-to nighttime scent. Even though I haven't gotten around to having a whiff of this fragrance as yet, sweet floral scents are my thing so this one will be a sure winner. I've read that 'Mon Paris' is quite similar to Lancome's 'La Vie Est Belle', so I would be one happy lady with either of them sitting on my vanity looking all pretty!